Are you just starting to play poker and want to increase your winning edge? If you’re looking for a way to improve your poker skills, you need to start learning basic strategy. One of the most basic fundamentals of poker strategy involves learning about outs in poker and poker hand probability. If those concepts still sound challenging to you, no worries: this article will guide you through the basics and give you the information you need to start practicing right away. To get started calculating your odds of winning the pot and turning a profit, you have to first learn to see your outs at a glance. Before you can do this, you have to know all the poker hands by heart, back and forth. If you’re not yet fully clear on the winning hands and their rankings, you need to start there. See our introduction article if you need a reminder! Once you’ve firmly memorized all poker hands, the next step in line involves learning how to read the table and see what’s coming up. You need to be able to gauge if there are any potential flushes, pairings or straights shaping up, just by looking at the community cards after the flop. You need to watch out for an important technicality when counting outs: carefully discount all outs that might potentially serve your opponent as well. For example, if you’re sitting on gut-shot straight draw that would usually mean you have 4 outs… but if you notice two to a suit on the flop, that means you only actually have 2 outs, since 2 of the other potential outs could actually help your opponent hit a better hand than you. Once you’re clear on poker hand rankings and table reading, you should be able to count your outs instantly simply by glancing at the table. This knowledge combined with the understanding of pot odds will drastically improve your poker strategy. In simple terms, pot odds are the odds you have of profiting from the pot. This number involves not only the actual money in the pot, but also the amount you have to pay to see the hand play out. To know your pot odds just divide the amount in the pot by the amount needed to get there. For example, if there are £20 in the pot and you need to pay a total of £10 to stay in the hand, pot odds are 20:10, which can be simplified as 2:1. It’s helpful to always simplify pot odds until the right number is 1, so you can easily convert to a percentage. Once you know your pot odds, you can also figure out your pot equity, which is essentially your chance of winning the pot. This number can be easily figured out on the flop by multiplying your number of outs by 4, or by 2 on the turn. The result of this multiplication will be your winning chance as a percentage. Let’s imagine you have an open ended flush draw – that’s 15 outs right there. If you’re still on the flop, your winning chances are 15×4=60%! If, however you only have a pocket pair after the flop, that’s only 2 outs x 2= 4% winning chances. 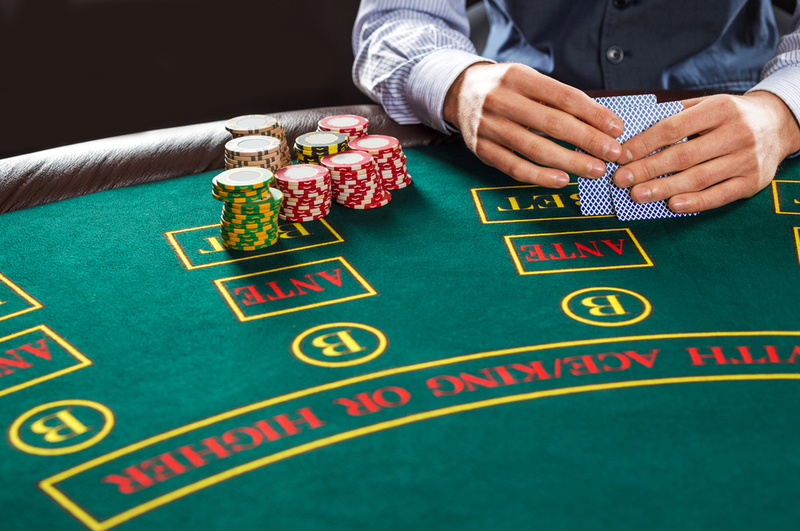 By comparing your pot odds with your equity ratio, you will have a good sense of how a hand should play out and whether you should make the call. For example… are your pot odds 3:1? Convert that to 33% to make the comparison easier. If the pot equity is below that number, there’s no point in bothering to call, but if it’s higher it could be your chance to score! To boil it down to the simplest possible reasoning: if pot odds are significantly higher in percentage than pot equity, it’s probably a good call! Otherwise, it’s likely best to just patiently wait and see.